Remember when MTV used to show music videos? It’s been years since we’ve had an all-music video channel on basic cable, but thankfully digital has picked up and kept videos alive. 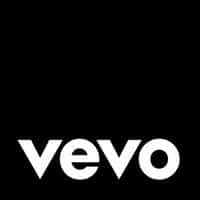 A little over 5 years ago, Vevo set out to keep videos alive by creating a video entertainment platform that offered videos and music-related on-demand programming spanning mobile apps, Vevo.com and a number of Syndication partners, most notably, YouTube. Today, Vevo is a massive video powerhouse. Check out these Vevo Statistics that I was able to dig up recently. As always, this post will be updated as more data becomes available, so be sure to check beck often. Owners: Universal Music Group, Sony Music Entertainment, Warner Music Group, Abu Dhabi Media, Alphabet Inc.